Often people take jobs with the promise of advancement. Then for one reason or another advancements never come. Thus, the search must begin for a new position that allows you to utilize your skills, training and abilities in a better job. 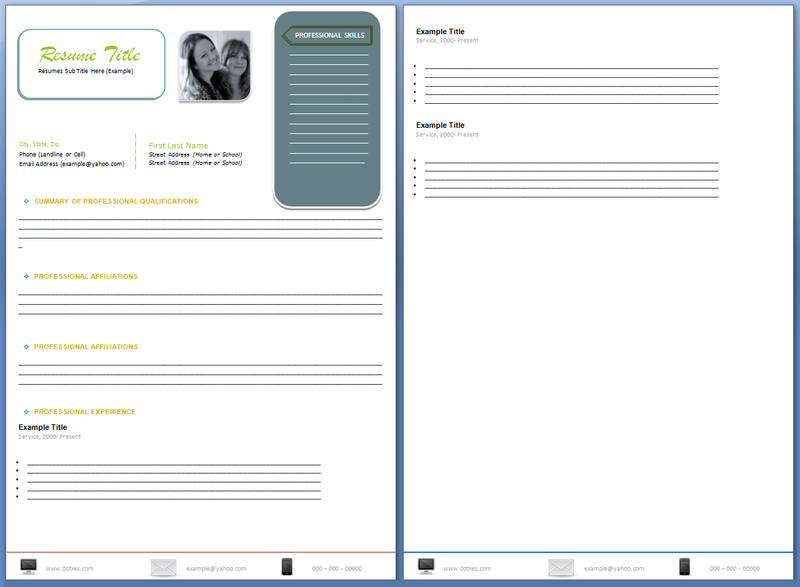 The updated resume template is similar to the resume that may be used to get your first job. However, instead of listing all of your history back to your high school graduation, the accompanying resume allows the candidate to concentrate on their professional growth and skills they have acquired, as well as any advancement, any promotions or other details. Naturally, there is a place for listing personal information that a prospective employer might need. Furthermore, you need to decide if you are going to tell your employer that you are planning to leave. If the parting is on good terms, your current supervisor can become an excellent reference. Be prepared that a future employer may contact a former employer listed on your resume. Therefore, always try to leave a job on good terms so that if the company is contacted, it will improve your chances of getting a better recommendation. This sample resume format was built in Microsoft Word 7 and can be used in any advanced Word version and modified if needed. Furthermore, the picture can obviously be changed, but before doing so, you have to install fonts “Brush Script Mt” and “Calibri”. This will ensure that your update resume matches the template.